1. Start early. Most bar examinees don’t start studying until two months before the exam, typically when the Barbri course begins. I think it’s best to start earlier, at least on a modified schedule. I was due to take the summer exam, so in January and February, I enrolled in the Kaplan/PMBR online course, which focuses on the MBE. I spent about 3-4 hours per day studying during those months. During March, April and early May, I studied about two hours per day and took one MBE simulated practice test per month, culminating in the Barbri July “mid-term.” I wanted to get used to test conditions and practice questions and track my scores over time. In mid-May, I plunged into full time study and until two days before the exam, I studied 7-8 hours per day, 5 or 6 days per week. 2. Don’t try to work at a job and study at the same time. Don’t screw around with this exam. Remember, it’s your future and it’s not an easy test. Take at least two months off from your job and instead, treat bar exam study like you would a full time job. I’m not saying it’s absolutely impossible to pass if you work during bar preparation, but with a few exceptions, the most common thread between those who fail and those who pass appears to be whether or not the examinee took enough time off from her or his job (and other responsibilities) to study. 3. Vary your study materials, sources, and formats. I recognized early on that I learned best when I exposed myself to the same subject matter from a variety of materials and sources. For example, I had a full set of Emmanuel MBE Outline Books on hand at all times. I used the PMBR Kaplan materials and the Barbri materials. In addition, I had numerous other audio tapes, flashcards, outlines and hornbooks. If there was a concept that I just didn’t grasp well enough, I’d turn to another program or author’s way of explaining it. In short, I felt I needed several alternative means for understanding any given rule or concept. Similarly, I found that I absorbed information more efficiently using a variety of methods, including reading it, writing it, hearing it, and speaking it out loud. I designed a study program for the last two and a half weeks before the exam that systematically incorporated writing, listening, reading and speaking the same material repeatedly. 4. Get exercise. In all the anecdotal reading about bar exam prep I did, I heard so much about the importance of getting exercise that I thought it was some dumb cliché. Of course it’s important to get exercise, I thought, all the time, not just when you’re getting ready for the bar exam. But I came to realize just how critical it was—when you have to sit at a desk in front of a computer or with your nose in a book 8 hours a day, it’s not at all good for your body. So build regular exercise into your daily schedule. 5. Find ways to manage anxiety, especially in the final weeks before the exam. Things can get pretty bad in those last few weeks. Frankly, I don’t think there’s any way to eliminate anxiety, unless you’re some sort of zen master. But there are ways to manage stress so that it doesn’t get the better of you. Yoga often did the trick for me. The other strategy that helped was realizing it was okay to give into the meltdowns when they came. Don’t fight your meltdown; see it as temporary catharsis, and come out the other side. There were two occasions in the final three weeks where I just completely lost it, utterly convinced I was going to fail. After about two hours of meltdown each time, I was at my lowest point, completely spent, and the only remaining thing to do was get back to study. Post-meltdown, I always felt better. 6. Don’t study or cram down to the last hours or minutes before the exam. I planned for this carefully. Things were difficult enough; I was determined to avoid hyper-crisis mode. I figured the hay was in the barn by then, or it wasn’t. The exam was on a Tuesday; I stopped studying at 3pm on Sunday. After that, I slept, relaxed, went for several long walks, on Monday drove the two hours to the test site in Montpelier, checked into the hotel, had a nice dinner, and tried to get a good sleep. I saw many examinees in the hotel during those two days who appeared to be frantically studying up until moments before the exam and even on lunch breaks. I don’t advise it. 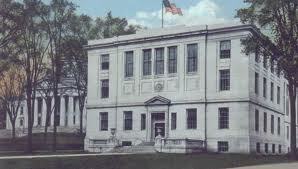 Vermont Supreme Court, circa 1919. This is where I'll be sworn in later this fall. 7. Keep your cool during the exam. I saw all kinds of dreadful, anxiety-ridden behavior at the hotel exam site and in the testing rooms. The collective stress level was off the charts. Many examinees looked as white as sheets, with glazed expressions on their faces and in their eyes. Others were trembling or outright shaking. Still others paced and ran frequently to the bathroom, obviously to vomit. Yikes. It’s hard to stay calm when so many people around you are freaking out. I practiced slow deep breathing and counting slowly to some fixed number. It also helps enormously to have someone there for you. I was fortunate to have Edward my partner. I’d walk out of each test session into the hotel lobby and find him waiting for me calmly, bearing big hugs, food and drink. 9. The bar exam is difficult; don’t let anyone convince you otherwise. I honestly don’t know how hard or easy Vermont’s bar exam is compared to other jurisdictions. But I do know that in spite of all my preparation, I still found the exam very challenging and tricky. Don’t be complacent. On exam days, be prepared for the questions to seem harder than your practice questions were. 10. Waiting for results. I don’t really have a good answer for how to navigate the two or three months of torture that examinees must undergo as they wait for results. My strategy turned out to be astonishingly primitive and perhaps somewhat immature: I went into denial. For about two or three weeks after the exam, I was in a bad way, with debilitating anxiety. One day, I finally realized there was simply no way I could continue like this, so I decided to pretend the exam had never happened. Sounds weird, but for the most part, it worked. Of course, thoughts and fears sometimes inevitably crept in, but I played the denial game as best I could and that got me through until September 23, the day my letter arrived. A big lesson in how repression and denial can sometimes be downright useful and healthy. Thanks for the advice, its encouraging to see that with hard work one can pass the exam doing the clerkship. While not effortlessly, it is possible with discipline and lots of deep breaths. Wish me luck in July 2012! Thanks for writing this. It’s been great to read and your advice seems really helpful. I was wondering about your third point. 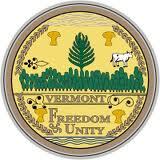 Do you know of good resources for the Vermont state portion? I know of the state libraries’ online past essays, but I’m wondering what you used for study materials for Vermont state law and distinctions. Useful books, guides, etc. Anyway, I’d appreciate any information you feel like sharing. Thank you! Before I took the exam, I was really worried about those Vermont essays. I felt like there was no good, reliable way to learn the Vermont law I needed to. However, in the end, that did not turn out to be a problem. I feared essay day the most, and it turned out to be much more manageable than I thought it would. First thing to remember is that there just aren’t that many Vermont distinctions, because Vt is such a small jurisdiction. For that reason, it tends to be easier to remember them. (for example, evidence of previous sexual assaults and child molestation, permitted by the F.R.E. and in many states, is not permitted in Vermont.) Second, the Barbri Vermont essay book was great. I relied on it, and supplemented it somewhat with questions and model answers from the bar examiner’s website. Third, this was probably overkill, but in the 10 weeks prior to the exam, I read and briefed every single Vermont Supreme Court case from 2009-2011. (Once I had read and briefed every case, and had a grid with a few sentences summing up the question presented and the resultant holding, I read it over every night. I’d been told this was a good thing to do because the examiners like to craft questions based on recent Supreme Court holdings. At the exam, there wasn’t a single question or part of a question that touched on any of the cases. But I still think knowing the cases was useful overall in familiarizing me with Vermont law and distinctions generally. That’s all I did for Vermont material. It worked out fine, in spite of my fears. Let me know if you have any other questions. Thanks so much for your incredible reply. I was not expecting that much help from a stranger, so thank you! I am actually looking to avoid BarBri and self-study instead. I know the risks, but discipline in doing tedious work was never really something I lacked. Anyway, I am not ruling out used bar course material if I can get my hands on it for a decent price, but I am not enthralled with the idea of a pre-packaged course. I have also read a story quite different than yours regarding BarBri’s Vermont course, and have heard that it is essentially an MBE course with some pamphlets on Vermont law – at twice the cost of a basic self-study MBE course. All this being said, I am taking what you have told me about BarBri just now under advisement and will consider it in the weeks to come. What has concerned me most about the essays has not been the essays themselves. Rather, it has been the scarcity of relevant study material. While Vermont is great about putting practice material online for public access, there really is not a great deal of material out there which distills the relevant areas of Vermont law for the essays. In other words, I can find plenty of multi-state study material, but am still looking for some good, consolidated guides before I get into the practice exams. At any rate, thank you so much for your reply. I will be revisiting it again soon as I develop my strategy for this fall and winter. By the way, what you referred to as overkill seems like it was a great idea at the time! Thank you once more and I will be sure to contact you again this fall if need be. I understand the hesitation about pre-packaged courses–I had those reservations as well. But I decided to do it anyway. I figured if the structure didn’t work for me, I would change it, dramatically if need be. I took the PMBR Kaplan online MBE course in Jan/Feb. Then I took Barbri starting in May. I do not agree that Vermont Barbri was just an MBE course with token essay pamphlets thrown in. I used the PACE program, which provides daily assignments that you check off as you do them and you track your progress. (I took the course online and NOT live in So Royalton). The PACE program was split pretty evenly between MBE and essay work, actually. In fact, there were so many assigned essays that I never got to quite all of them. I did have to do some minor tweaking and adaptation of the Barbri “formula’ but I have to say it worked for me pretty well. To my knowledge–and I looked pretty hard–there simply aren’t any good outlines or summaries for Vermont law. I really think the ONLY organized study resources are the past questions, available in the Barbri books and on the judiciary website, and the Vt distinctions. I supplemented this a little bit with doing my own research on various Vermont law questions that came up along the way, but to do that for everything would have been impossibly time-consuming. My recommendation to anyone doing it now is A) relax about the Vermont law (the Vt questions just weren’t that unique to VT) B) use the Barbri books (and distinctions) or the model questions at the judiciary website and C) maybe do some reading of recent Vt Sup Court decisions, although what I did is probably unnecessary. It will be okay. The irony is that I ended up finding the MBE day much, much harder. Thank you so much again for your insight! I will be sure to follow your steps A through C, and my plan is to find as much relevant Vermont law and then go through all (or as many as possible) of the past essays on the judiciary website. I will be sure to incorporate all that you’ve recommended into my study plan. You’ve been really helpful! Does anyone has a used 2015 Barbri VT law book? I am interested in purchasing one. I suggest posting something on Craig’s list.